These neighborhoods are across the street from each other, near the Castle Junction. 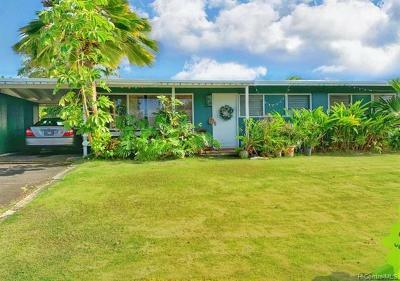 Olomana and Pohakupu neighborhood homes were mostly built in the 1960's. Lot sizes are generally between 7,500 to 8,500 square feet and home interiors range from around 1,000 to 2,000 square feet. Olomana is named after nearby Mount Olomana. This is a close-knit community that features events such as neighborhood garage sales (sometimes covering 15-20 homes over a weekend) and an annual Christmas parade. Pohakupu is located on the other side of Kalanianaole Highway. There are several hundred single family homes at Pohakupu. 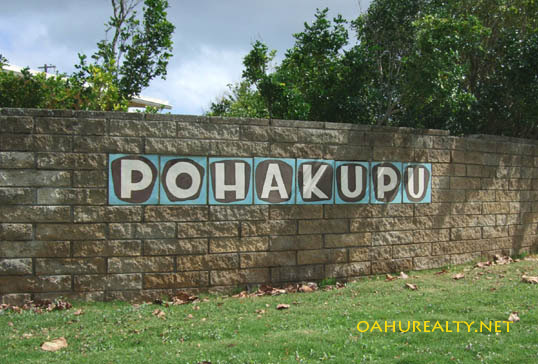 Pohakupu has these colorful neighborhood signs. From Honolulu, take the Pali Highway towards Kailua. Past the intersection of Pali Highway (61) and Kamehameha Highway (83), continue straight towards Kailua. 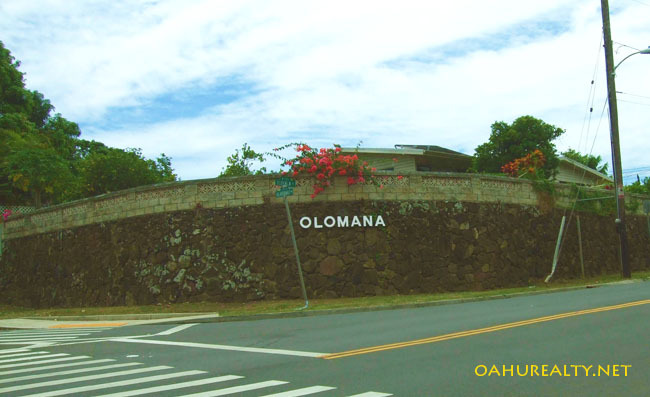 Turn right onto Uluhala Street, where you see the Olomana sign on the stone wall. If you miss the turn, that's okay. Continue in your right lane and turn onto Kalanianaole Highway, then make a right turn at Ulupuni Street or Ulupii Street. On Pali Highway, continue past Olomana and Kalanianaole Highway. Make a right turn on Uluoa or Ulumanu Drive. 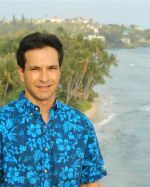 Kailua High School is accesible via Ulumanu Drive. Every street name in these two neighborhoods begins with "Ulu." For example, Uluhala, Ulukou and Uluopihi. Maunawili Elementary is located in Olomana (not Maunawili).